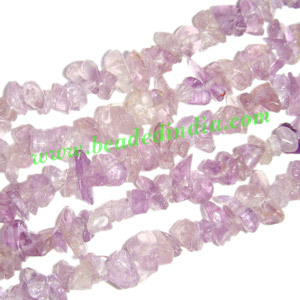 Amethyst Pink uncut chips, semi precious chips, gemstone beads chips, string of 36 inches, low price gemstone chips to make low price jewelry. Sterling Silver .925 Brushed Beads, size: 26x11mm, weight: 7.45 grams. Leather Cords 5.0mm flat, regular color - mint green. Leather Cords 2.5mm flat, regular color - blue. half sleeve long yoga kurta in cotton, size : chest 109 x height 103 x sleeve 25 centimeters.